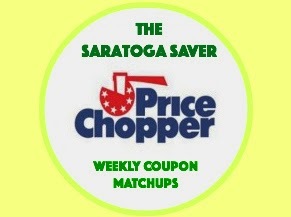 Price Chopper Weekly Coupons Matchups 4/5-4/11! Tyson Chicken Leg Quarters $0.38 lb. Most stores will be open until 3pm on Sunday, April 5 and re-open at 6am on Monday, April 6. Pharmacy Departments will be open on Sunday April 5 from 9am – 3pm. All Half Pints departments will be closed on Sunday, April 5. PC Boneless Skinless Chicken Breasts or Things - $1.99 lb. PC Assorted Pork Chips - $1.99 lb. Hatfield Marinated or Dry Rubbed Pork Tenderloins - B1G1 at $6.99 lb. Fuji Apples - $0.99 lb. PC Marinated Beef - $6.99 lb. PC Genoa or Hard Salami - $5.99 lb. PC Applewood Smoked Turkey Breast - $5.99 lb. Sara Lee Low Sodium Ham - $6.99 lb. D&W London Broil Roast Beef - $9.99 lb. = $0.34 each - no coupons needed!